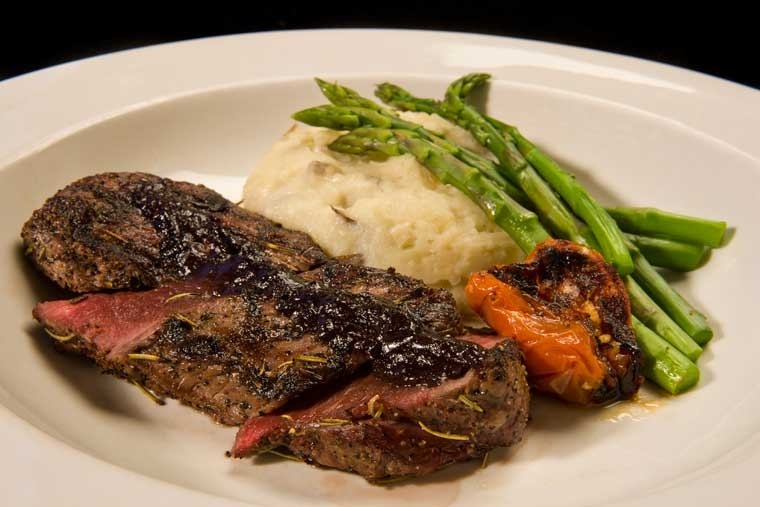 Dining and relaxing options for every palate and timeframe. 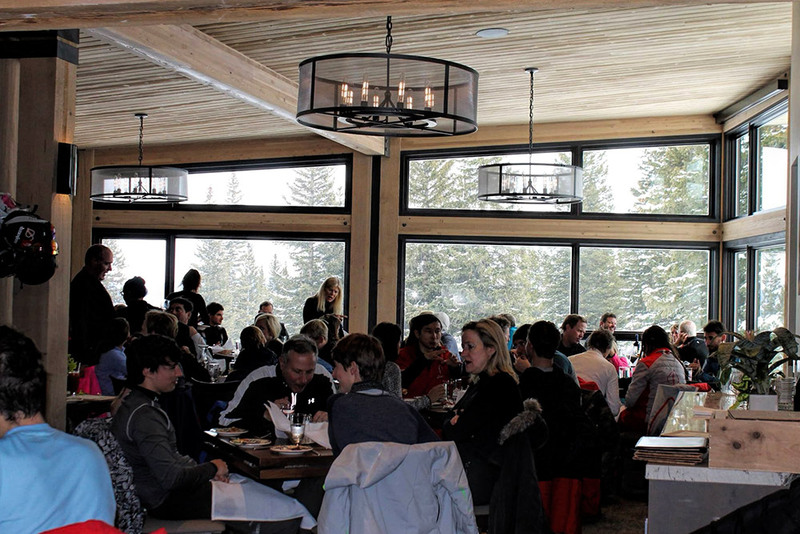 Take a well-earned break from your day and come in to Gwyn's for the best on-mountain dining Snowmass has to offer. 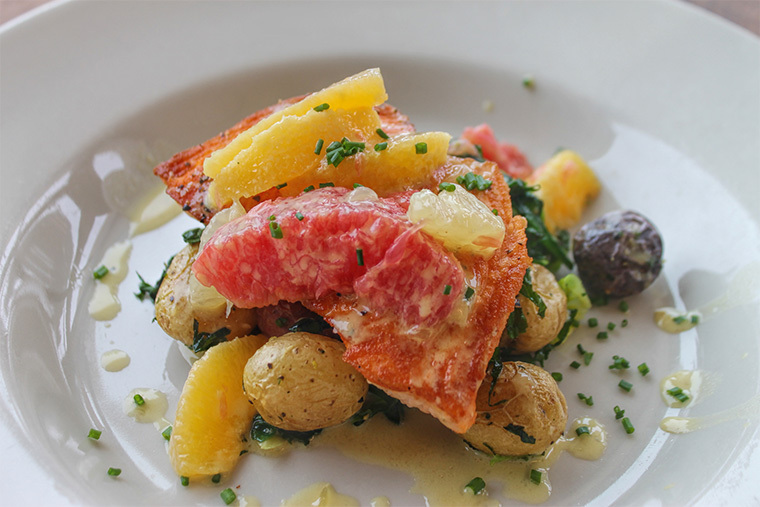 Featuring locally sourced game and fresh fish from around the world, there is something for every palate. 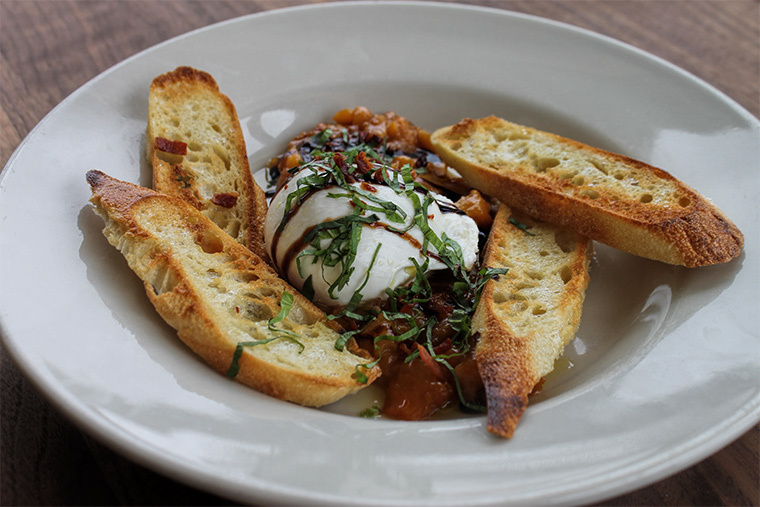 Check out Gwyn's full menu, our extensive wine list, and our gallery of images. 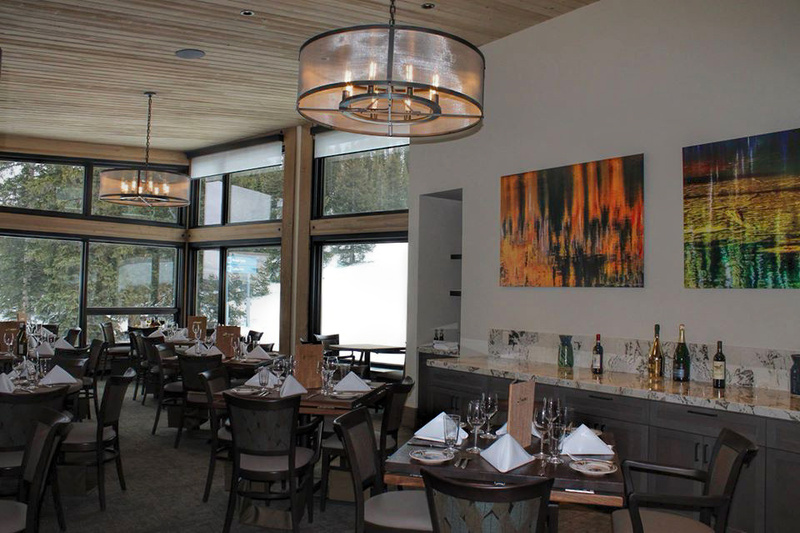 "The restaurant at the top of the Alpine Springs lift has been presided over by Gwyn Knowlton and George Gordon for 28 years. 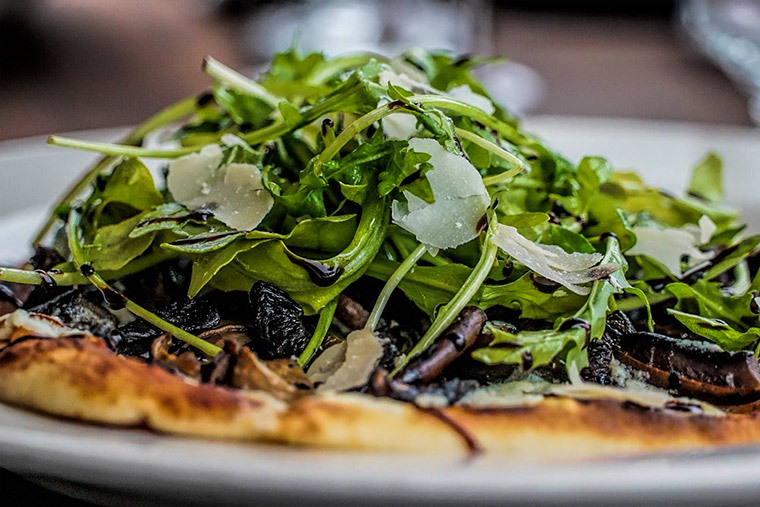 This posh tablecloth haven has some of the best food in Aspen. 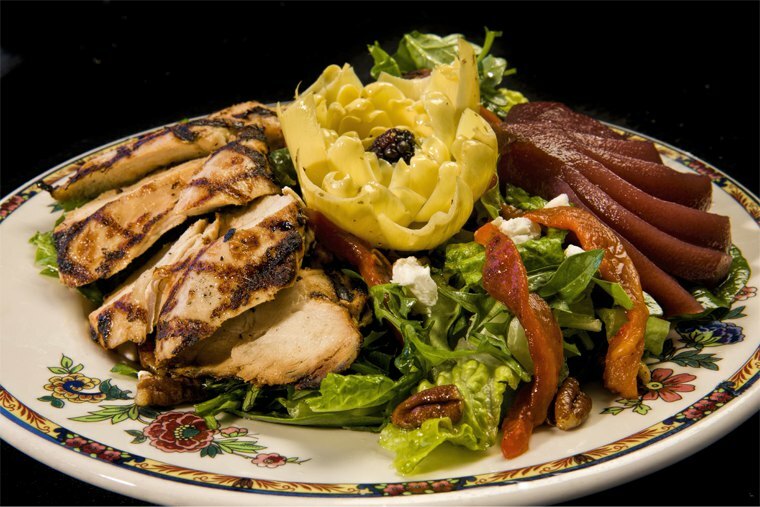 Favorites include blackened ahi with asian cucumber salad, and a smoked duck with poached pears. 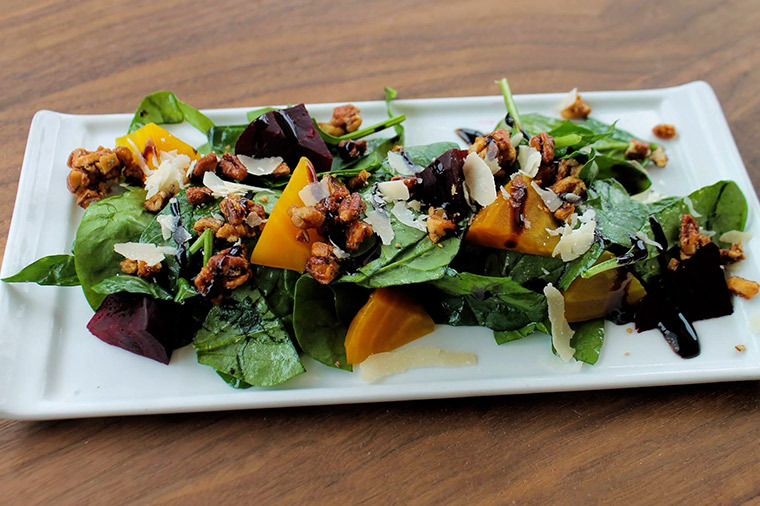 There's also an amazing wine list." ~ Vanity Fair Fanfair, Dec 2008 "Some Like It Haute"
Reservations are recommended, but walk-ins are always welcome. We look forward to seeing you! 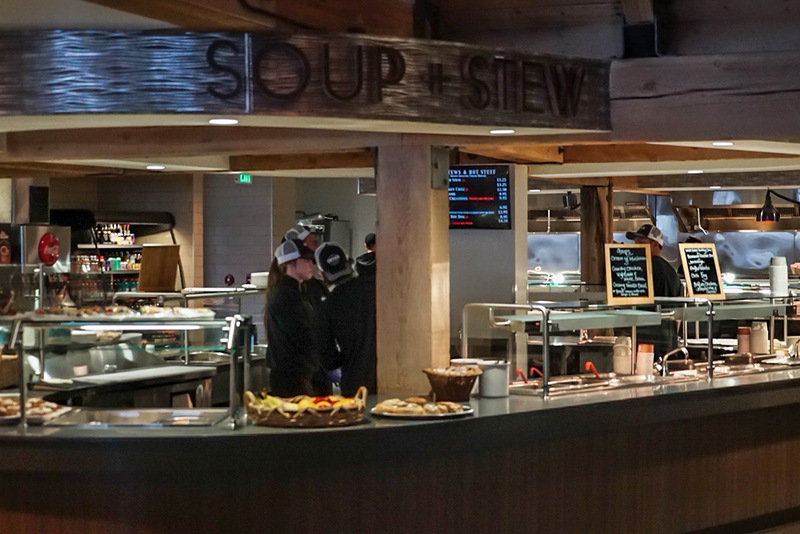 To get back to the slopes quickly, try Gwyn's Marketplace, a new mountain café unlike any other on Snowmass. 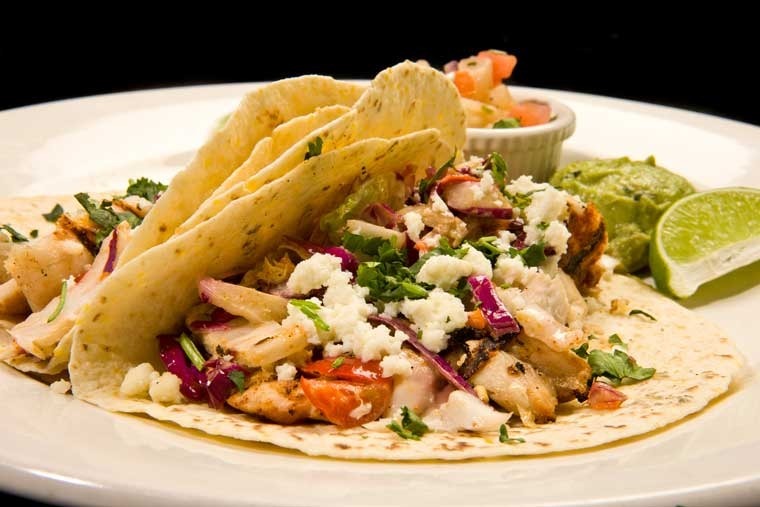 Featuring classic homemade soups and stews, natural Black Angus burgers and specialties such as our Seared Tuna Rice Bowl, Grilled Mahi Mahi Sandwich or Fresh Mozzarella and Roasted Vegetable Wrap. 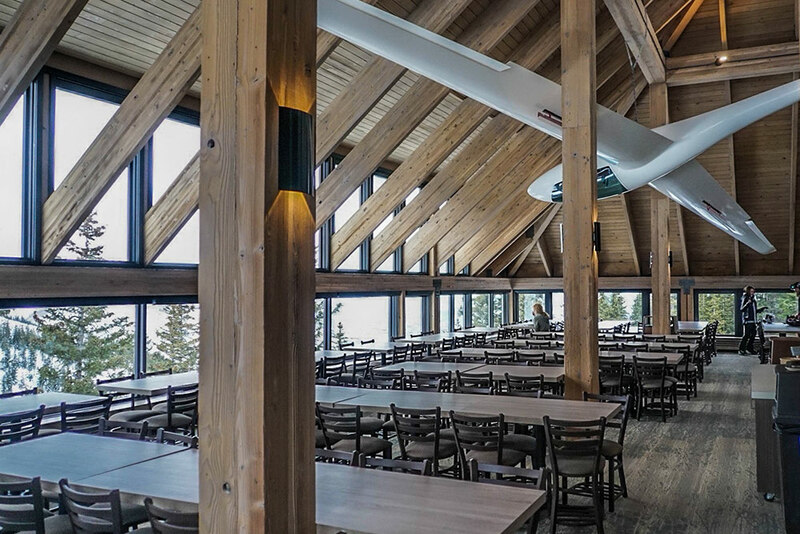 Finish up your meal with Hot Apple Crisp or Chocolate Nougat Bars and head up to the sailplane level for the views or outside to the spacious decks. 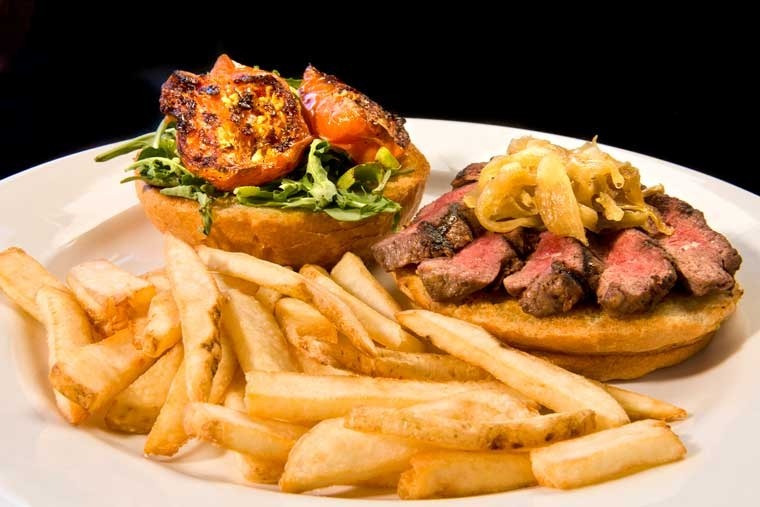 When the weather warms up Gwyn's Marketplace lights up the grill on the outside deck to serve Seared Ahi Tuna Sandwiches, Beer Brats with Kraut or half-pound Buffalo Burgers. 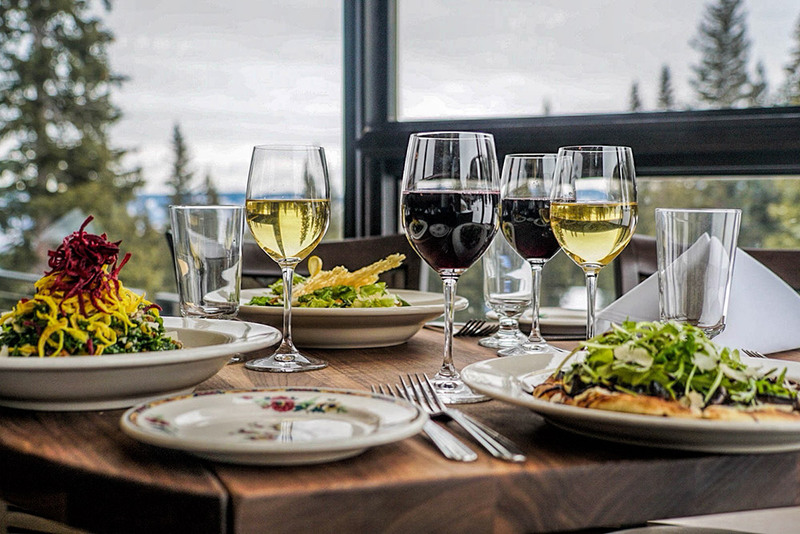 Enjoy with a Corona or your favorite wine, great music and spectacular views of the black diamond High Alpine terrain. 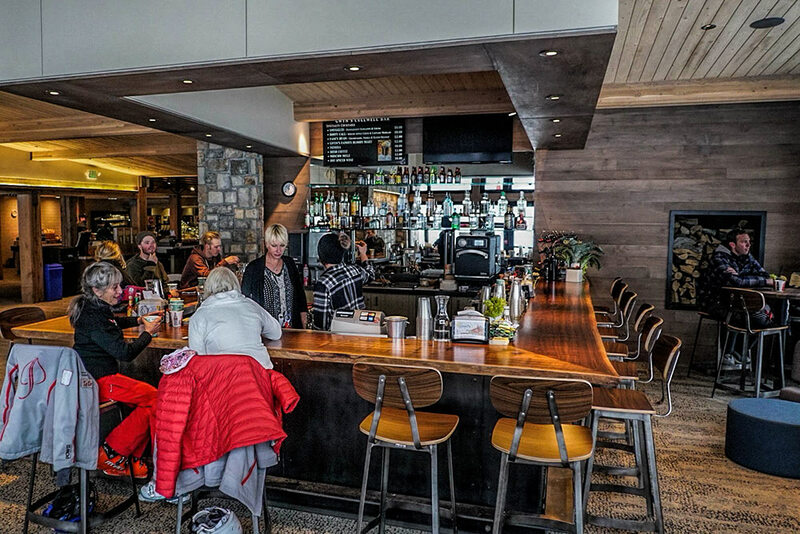 Gwyn's Culwell Bar was relocated to the front entrance for convenient access and those waiting for a table at Gwyn's. 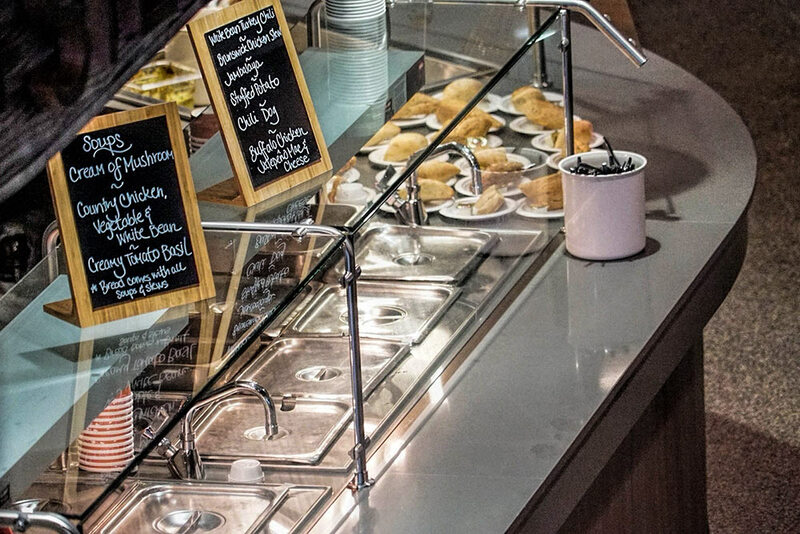 The custom black walnut bar features cozy seating areas and flat screen TVs while providing your favorite wine, beers and specialty cocktails. It's a great place to warm yourself by the fire and take a break from your day. 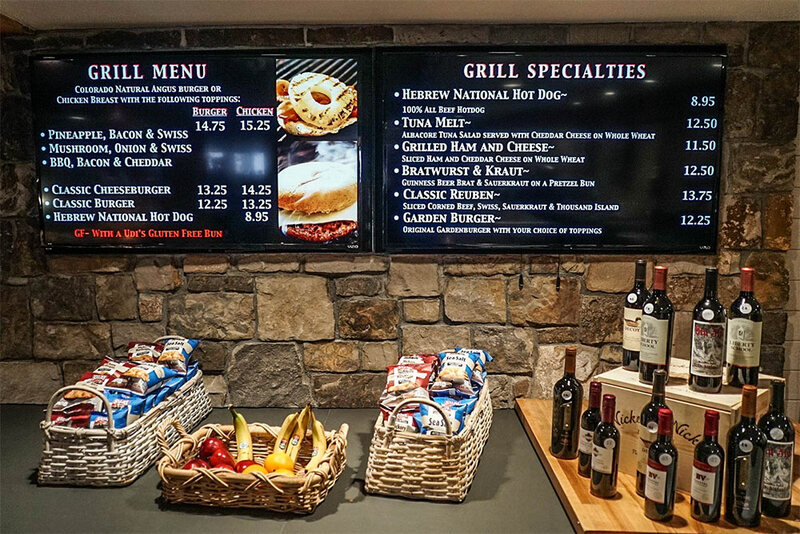 If you are looking for easy and speedy access back to the mountain, the Culwell Bar also serves many of our lunch selections. For the ultimate in on-mountain relaxation, try a Hot Toddy or Peppermint Schnapps Smuggler at the new Gwyn's Lounge located downstairs. 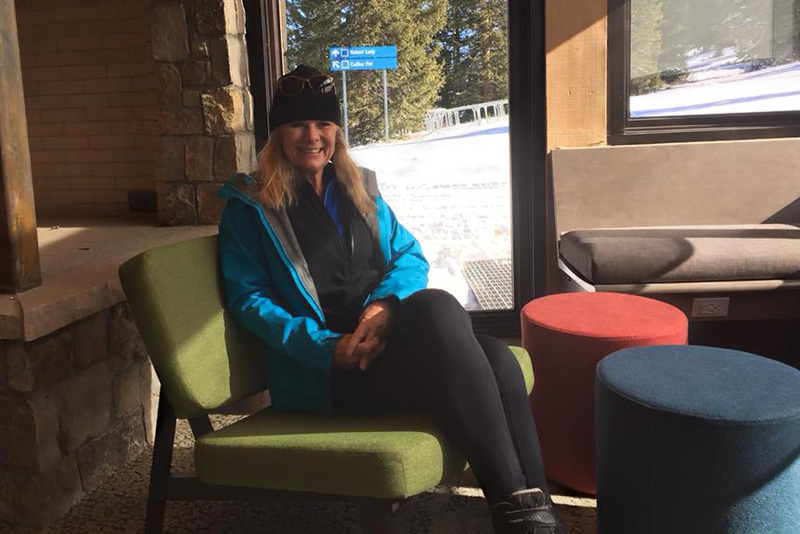 Accessed from the inside or just off the deck, the new lounge provides a warm and relaxing setting where you can take in the views of the Cirque ridgeline and Mt. Sopris or watch the game on the flat screen TV. 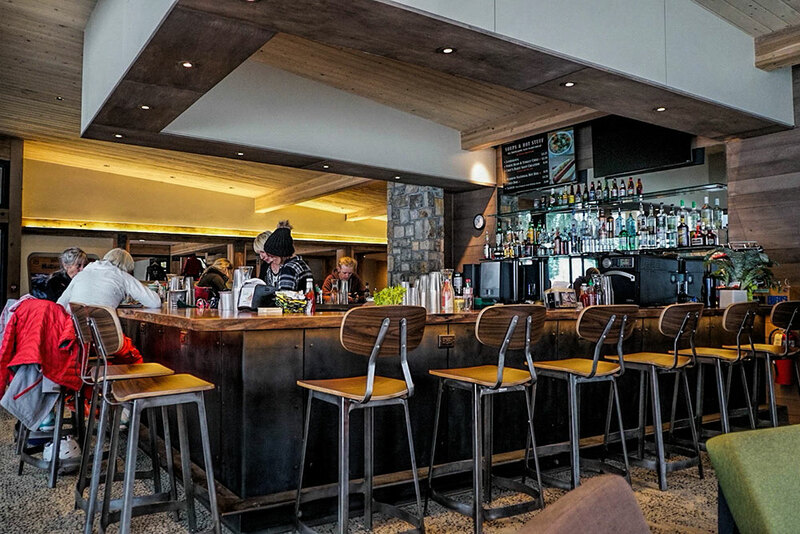 It's the perfect place to catch up with friends and family.